Legacy Recordings, a division of Sony Music Entertainment, will release Last Man Standing, Willie Nelson’s new studio album (and 11th for the label), on Friday, April 27. Arriving just in time for Willie’s 85th birthday (April 29), Last Man Standing will be available on CD, 12″ vinyl LP and digital formats. 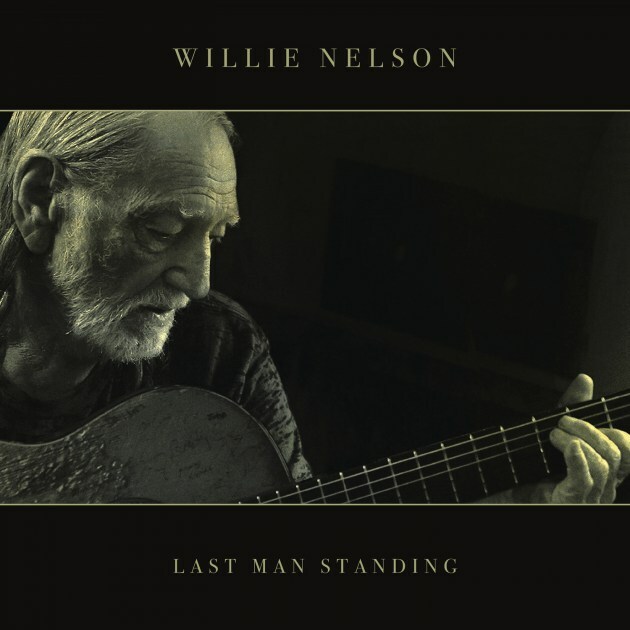 The first single from the project is the title track from the album “Last Man Standing” and Willie shared a music video capturing the making of the track Friday. The album is available for pre-order now and the single is available at all digital outlets. Last Man Standing, comprised entirely of songs newly-penned by Willie Nelson (and longtime collaborator and producer Buddy Cannon), is the worthy successor to Willie’s God’s Problem Child, which showcased seven Nelson-Cannon compositions and debuted at #1 on the Country charts. Willie and Buddy have been working together since 2008 with Cannon producing more than a dozen of Willie’s albums. An album that acknowledges the transience of time while marveling at the joy, beauty and surprise the world has to offer, Last Man Standing finds Willie Nelson rolling at a creative peak, writing and singing and playing with the seasoned wit and wisdom that comes from the road.